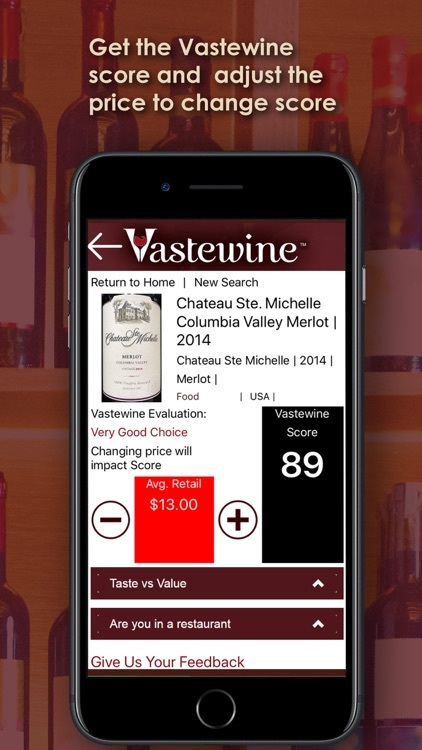 The World’s Most Innovative Wine Scoring App is here! 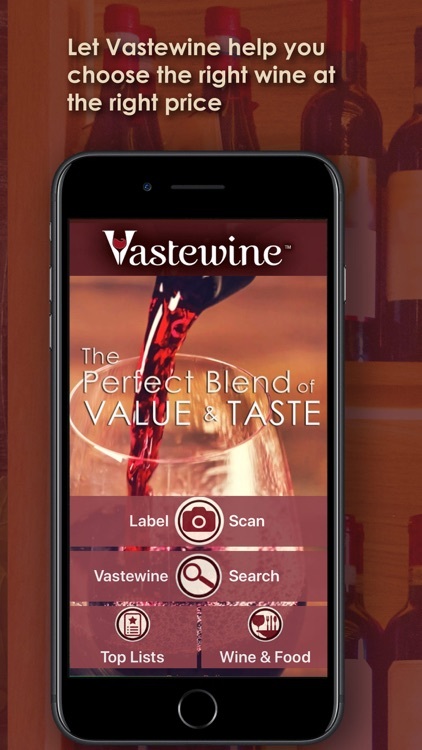 Vastewine, using our special formula combining both wine value and wine taste scores, is the only wine resource you will ever need! 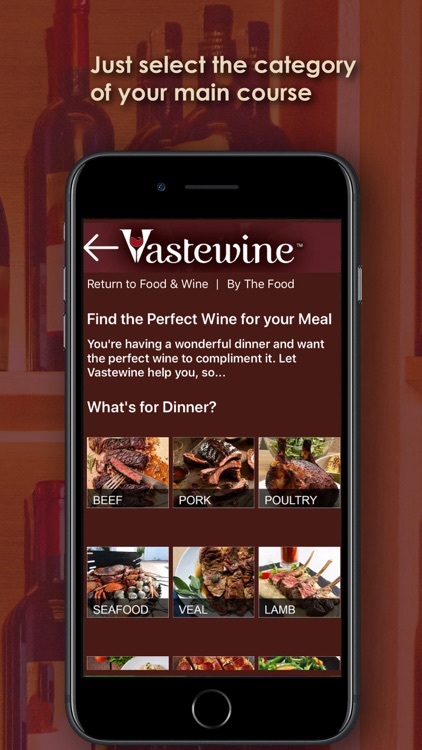 Whether you are in a restaurant or a store, choosing the perfect wine just got easier. Drinking wine is supposed to be fun and enjoyable. Stressing over which wine to buy before you even drink it is not acceptable! That’s the beauty of Vastewine. We make buying wine fun, enjoyable, and stress free! See what we did there? 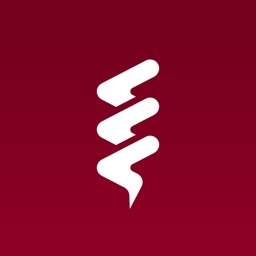 We just solved all your wine buying problems in one sentence. 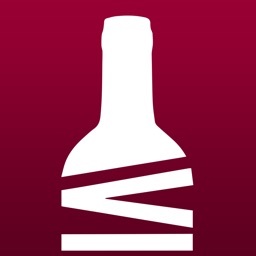 With our innovative scoring system, we take the guessing game out of purchasing the perfect bottle. Trying to figure out if a wine with a rating of 94 and a price of $29.95 is actually worth it is more confusing than fun. 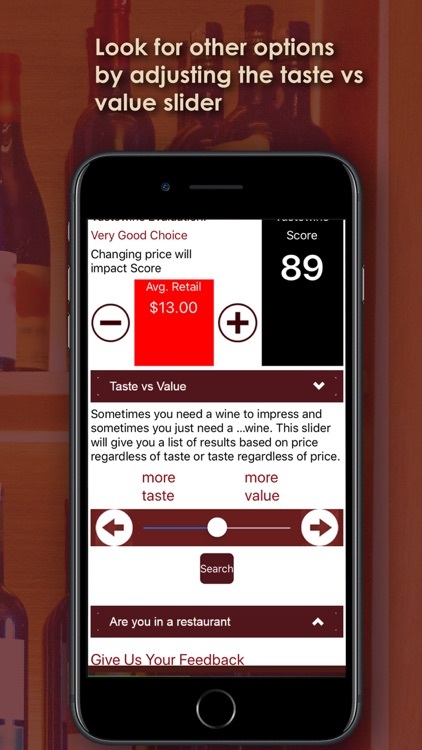 Our proprietary algorithm combines numerous taste ratings with average national retail pricing, giving you the perfect purchase score! To make it even easier, we only focus on wines rated 84 or higher, and priced between $8 and $35. Value and taste, remember? We have you covered. 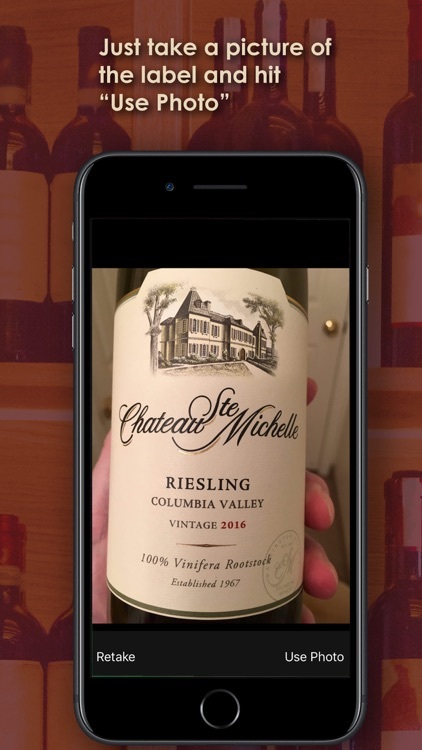 * If you are in a store, simply point your camera on your cellphone at a bottle of wine. If you are in a restaurant, simply choose the “are you in a restaurant?” tab. * Next, choose to “Take a photo” and use the label scan. * Voila! You did it! * Change price if needed, which will affect the overall score. 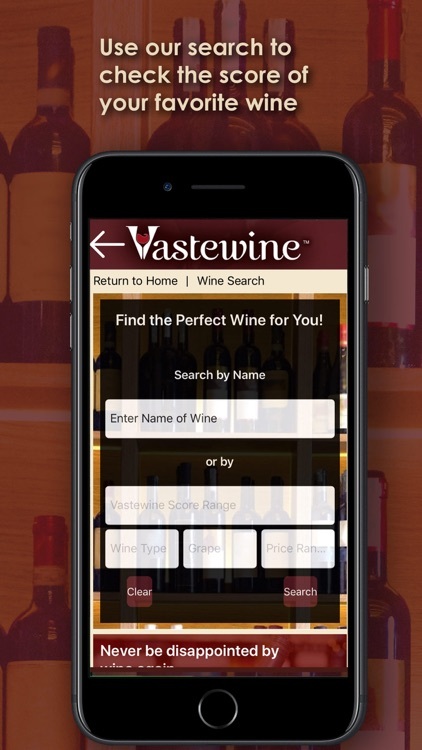 * With our free app, simply scan a bottle of wine at any retail location to see if it meets our criteria of taste and value. 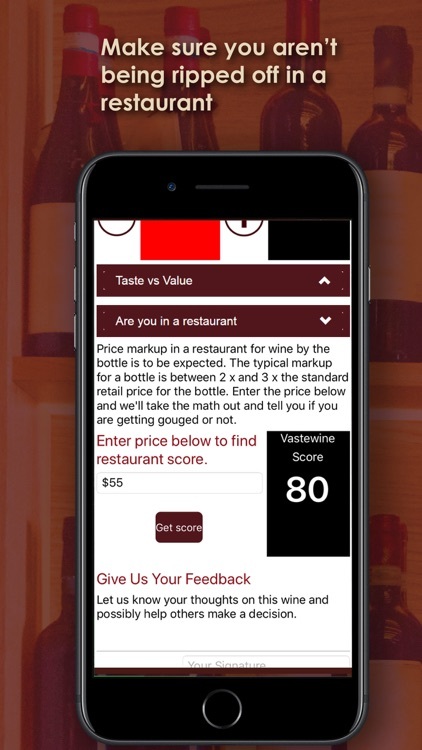 Wines with a score of 84 or above, using our special proprietary algorithm, are included, as long as they are between $8 and $35. * In a restaurant? Don’t fret. 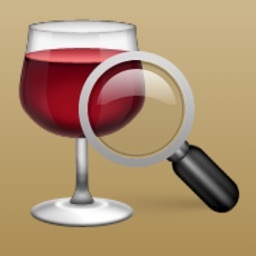 Switch to “in a restaurant” and find out if they are overcharging you for the wine of your choosing! 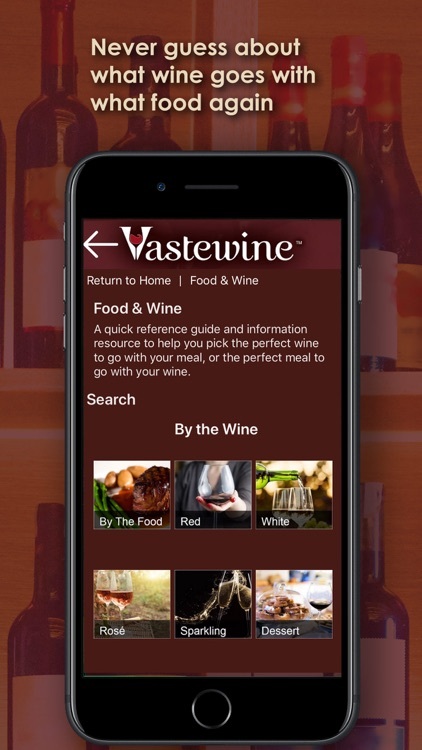 * Need a great recipe to go with the perfect bottle of wine? We got you there too! Explore our delicious concoctions that pair perfectly with that highly rated vino selection. * Don’t feel like scanning a bottle? No problem! 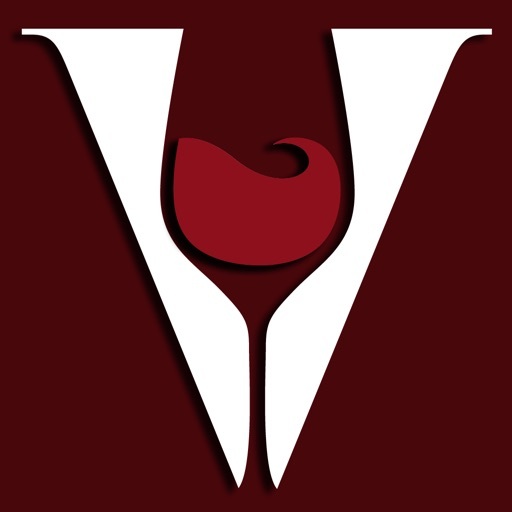 We are more than happy to give you suggestions from our expansive database of great wines. 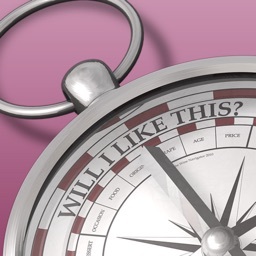 Just give us an idea what you kind you want, and we will point you in the right direction! * What is that you say? You don’t know anything about wine? Don’t worry! 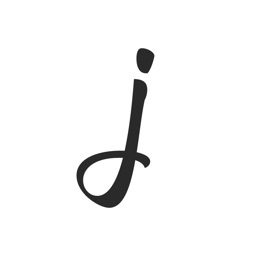 Visit our blog and you will know all the basics in no time! 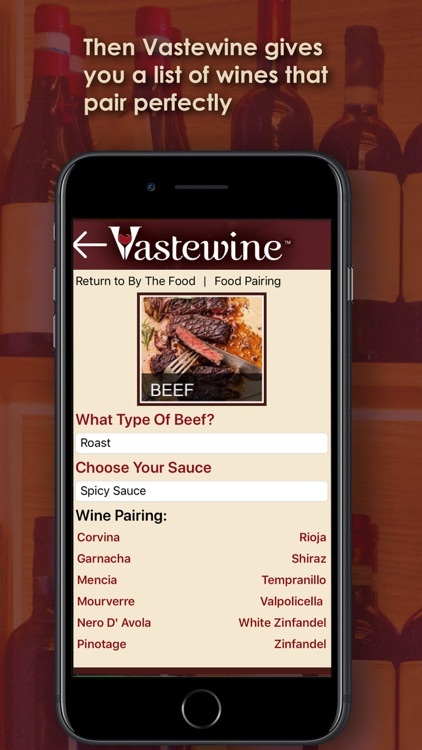 * View wines using many categories: Top Selections, Varietals, Price, Food Pairing, Rating, and more! We like to keep things fun, easy, and enjoyable. That’s what wine is meant to be. * Our Tasting Partner email is the best way to keep up with our incredibly fun and informative articles, recipes, and new wine listings! So make sure you sign up for that after you download the app!